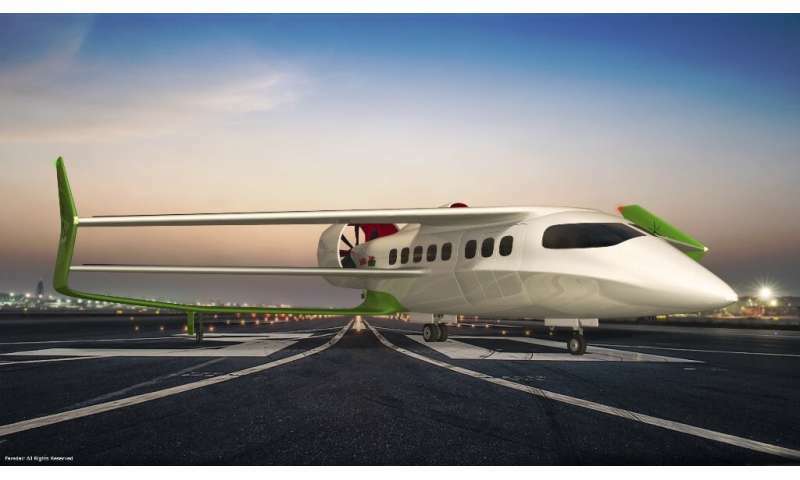 British startup Faradair Aerospace has unveiled plans to build and sell an 18-seat bioelectric hybrid airplane for use as both a passenger and cargo air transport. The company is calling its plane the Bio Electric Hybrid Aircraft (BEHA). The current model is the M1H, and the plans include a triple box wing configuration to give it exceptional lift. The M1H will have an electric motor for use during takeoff and landing, providing a much quieter experience than jets with a traditional engine. Engineers at Faradair claim the plane will produce just 60 dba when taking off, compared to the average of 140 dba for conventional jet aircraft. It will also have a 1,600hp turboprop engine in the rear of the plane for use during flight and for recharging the batteries that power the plane when landing and taking off. 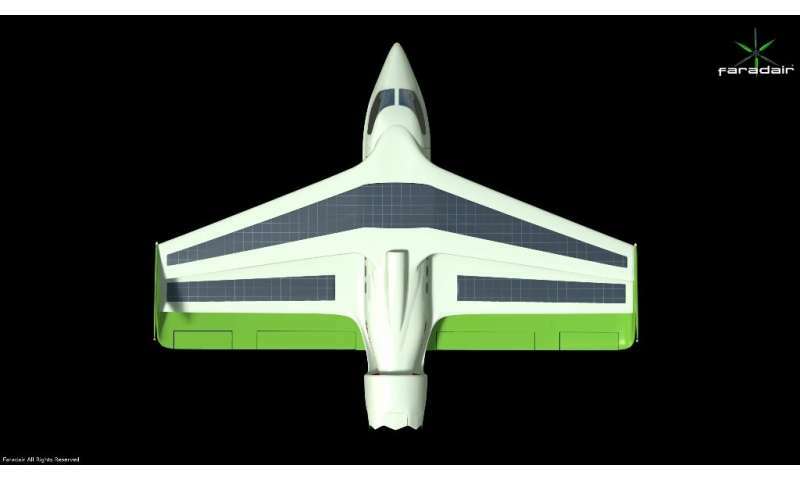 Representatives for Faradiar also claim the plane will be able to land and take off from shorter runways than conventional jet aircraft, needing just 300 meters of space—this feat will be possible due to the "vectored thrust" provided by the two contra-rotating propfans, its triple box wing design and a light body made of carbon composites. Once in the air, the plane will be capable of flying at speeds of 230 mph. The team behind the plane, which includes a partnership with Swansea University, are aiming for 2025 as the year they will begin commercial flights. They expect small airlines will want to purchase their plane for several reasons. The first is faster commute times for passengers—they are promising a 42-minute commute, for example, between London and Manchester. Currently, the trip takes an hour. Also, the plane will run on biofuel instead of the traditional jet fuel, making it eco-friendlier. And using electricity to land and take off will reduce flight costs, which should translate to lower costs for passengers—possibly enticing them to switch to carriers that use the new airplane. The company also claims that the plane could be switched from passenger plane to cargo plane in just 15 minutes, making it even more of a draw for carriers who want to use it in both capacities. How about sticking to the same units of measurement throughout the article. Firstly saying "needing 300 meters of runway", then saying "it flies at 230 mph!" Where are the proof readers? Proof readers are an extinct species. They began dying off about 40 years ago.